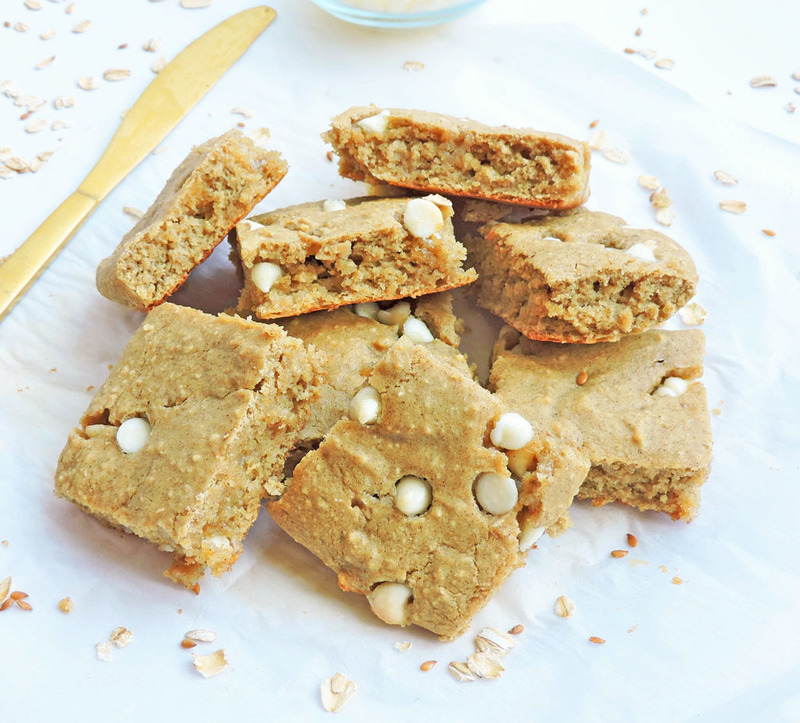 What if I told you that you could enjoy a nice warm, blondie for less than 100 calories?! 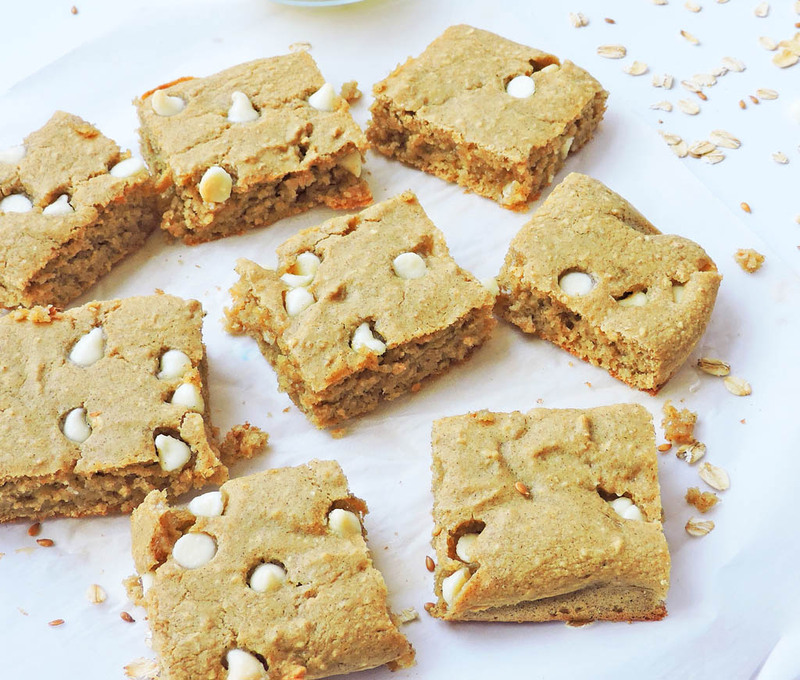 No, it’s not a dream…these Flourless Chickpea White Chocolate Blondies are gluten free, delicious and only 99 calories! How many of you look forward to dessert when going out to your favorite restaurant? I will be the first one to admit that I will look at the dessert menu before the main menu lol! My favorite has always been a blondie with vanilla ice cream! Of course, when I was younger, I didn’t think about being healthy whenever it was time for dessert! I piled on all the ice cream and caramel sauce I wanted! And sometimes, I even went back for seconds! Lol! 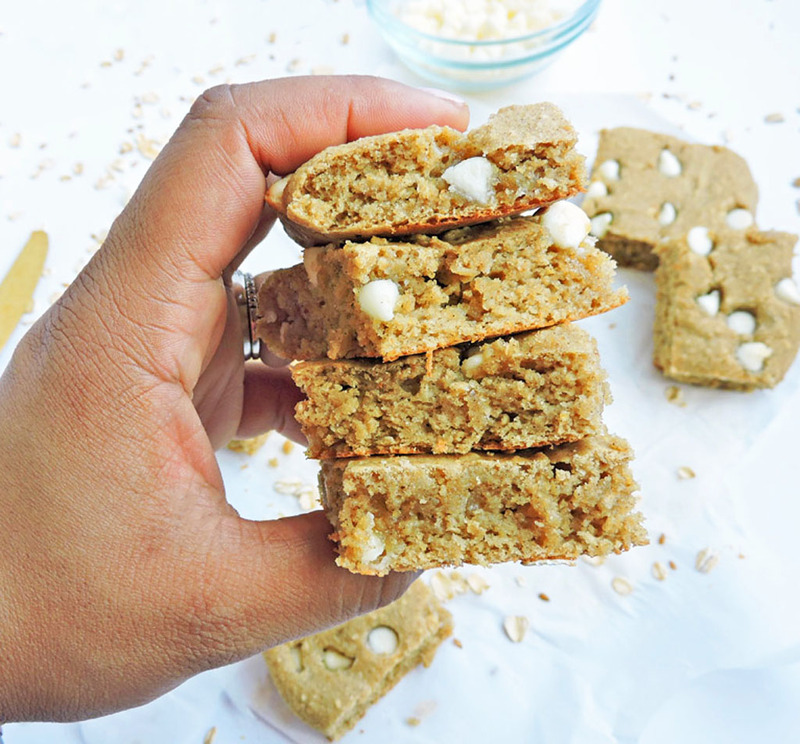 I made it my mission to find a way to healthify this dessert and created Flourless Chickpea White Chocolate Blondies! Who knew that chickpeas could be good for something other than hummus?! 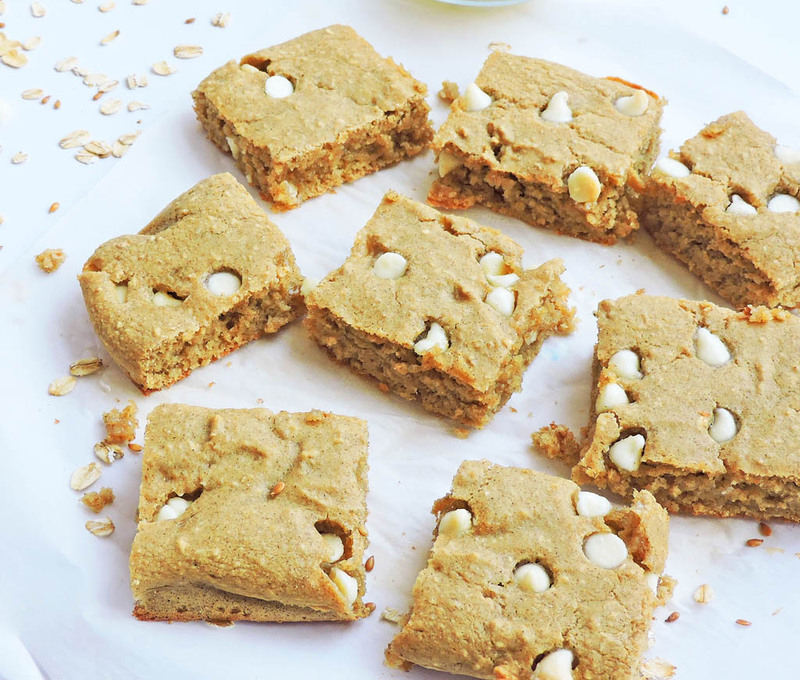 When making these Flourless Chickpea White Chocolate Blondies, be sure to blend all ingredients well before baking. This process may take a while depending on the type of blender or food processor you have. I have this blender, Ninja Professional Blender with Nutri Ninja Cups (BL660) and it only takes about 5 minutes to get it nice and smooth. Once your batter is smooth, fold in your chocolate chips and add a few more on top. 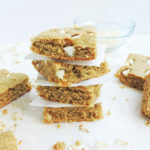 Bake for about 13-15 minutes and there you have it; nice warm, Flourless Chickpea White Chocolate Blondies! 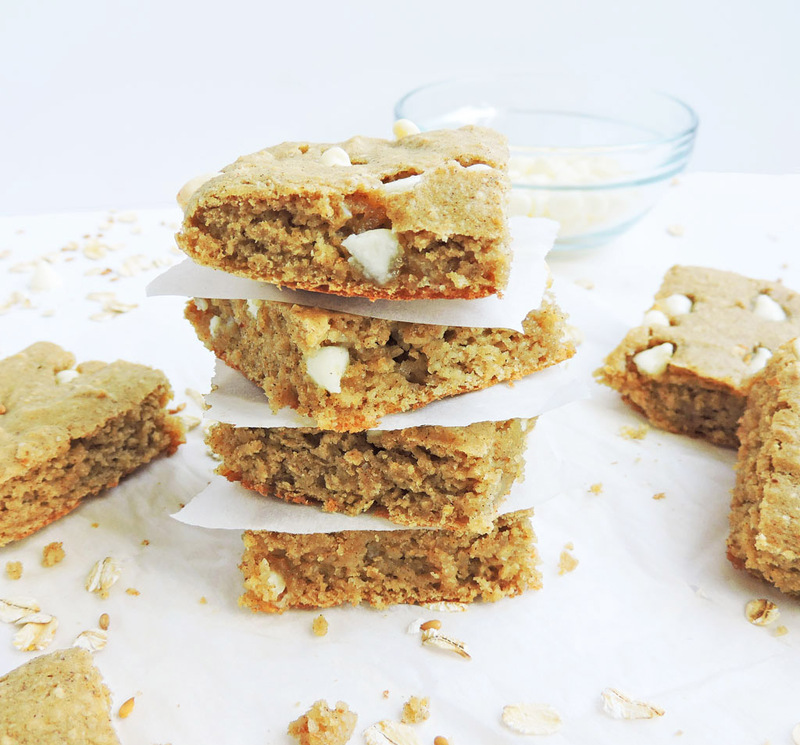 These delicious bars actually turned out to be gluten free and were made with no added sugar! Give them a try and let me know how you like them! Be sure to follow me on Pinterest, Instagram, Facebook & Twitter to stay updated on the latest recipes! Except for white chocolate chips, add all ingredients to a food processor and blend until smooth. Mixture may contain tiny bits of unblended oats; which is okay. Fold in half of the white chocolate chips and spread into pan. Top with remaining white chocolate chips. Bake for approximately 13-15 minutes or until fork comes out clean. Let cool on a wire rack before cutting into squares. Made these last week ! They were delicious and very healthy ! We love healthy !! Would this recipe work with a blender? Yes, you can use a blender. Would quick oats work rather than rolled? Yes, quick oats should work just fine!